The tournament brings together 23 teams from across the local professional communities and NorthEdge’s portfolio to compete in an 18-hole round. The golf will be followed by a dinner and an auction, supported by furnishing company The Belfield Group and a range of corporate sponsors. This year’s chosen charity, Maggie’s, provides free practical, emotional and social support to people with cancer and their family and friends, offering a programme of support that has been shown to strengthen physical and emotional wellbeing. The event aims to raise £35,000 – £40,000 towards the day-to-day running of the centre in Manchester, enabling the provision of free practical advice and emotional support to those in need. 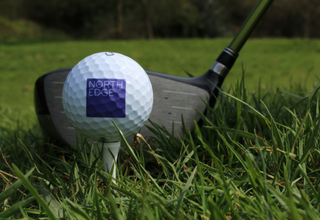 Grant Berry, Managing Partner, said: “This year’s Golf Day promises to be a great day out in aid of a brilliant cause. I’d like to thank our corporate friends for their contributions as well as everyone who will be participating on the day to help raise funds for Maggie’s.